In my first entry I mentioned a little bit about my new hobbies: going vegan for a week and woodcut print. Luckly, woodcut print survived longer than my veganism. Today, we had another class with our teacher Habtamu @ my beautiful friend Figen‘s house. I want to share some of the work that I had done lately. 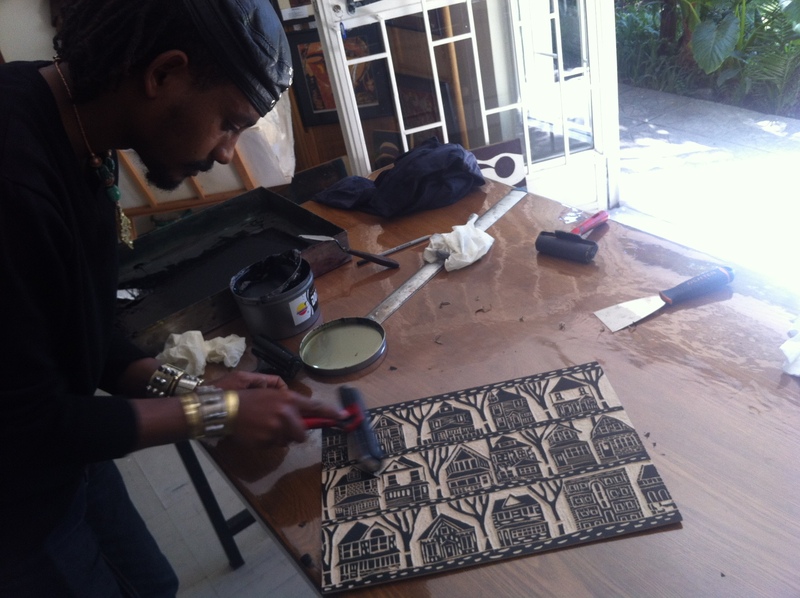 First I carved different images on wood patiently very patiently…. Then you should be more patient because there comes the exciting part: Coloring and printing it on a surface that you like. As a beginner, I used regular printing paper. Ok Habtamu helped me a little bit in coloring. That is right. But I continued by myself! Then vola! 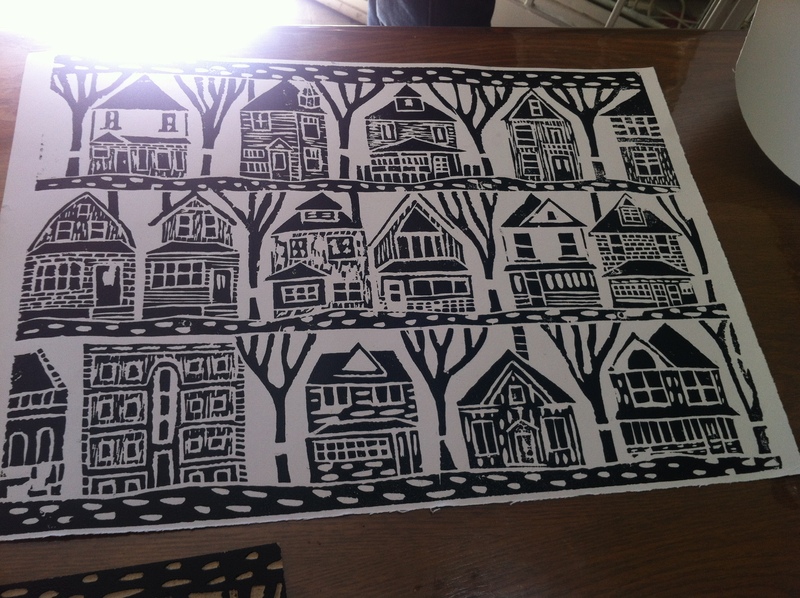 We have a black and white wood cut mold ready to print. Then it looks something like that after printing. Pretty amazing is not it? 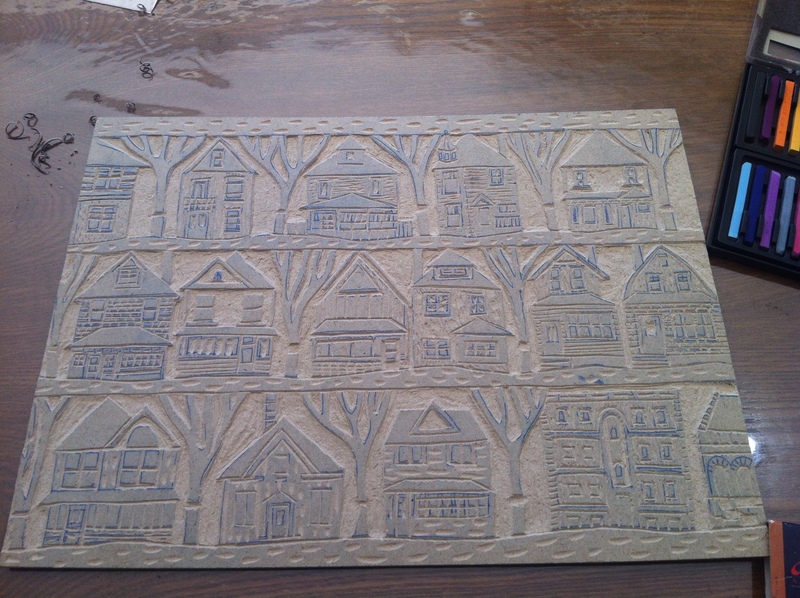 But my husband kept asking me since I started going to wood-cut printing classes “I do not understand why do not you just paint this picture on the paper?” He was right in a way because carving the wood takes hours and you are producing wood chips continiously. It is quite a dusty work! I think this is the fun part giving your stress away and producing a lot of dust and having an excuse to do that! Would not it be great if I was crazy. Then the world would be ok. I have long wanted to write something on distopian literature. Dystopia as opposite to utopia basically means negative prospects and presentation of future in literature and cinema. Basically all movies presents a major shift in authority: From humans to robots, computers, a new system, a major charismatic leader or hyper technological devices. At the same time they play with the perception of truth as it obviously happens in Matrix movies. And unfortunately, distopian literature mostly do not have happy endings at it happens in Matrix in form of Neo’s reach to his ultimate, true self. Worth to mention, utopian movies also present human’s urge to seek a hero, a savior. 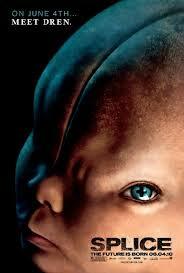 In Splice the scientist hope that their discoveries will save the world and open way to cure for uncurable illnesses. In Matrix, they basically follow prophecies to reach the One, the savior. In Surrogates, people even do not understand that they ask for a hero. I want to continue to this topic later on. If you have any ideas or articles to share, pls do not hesitate.